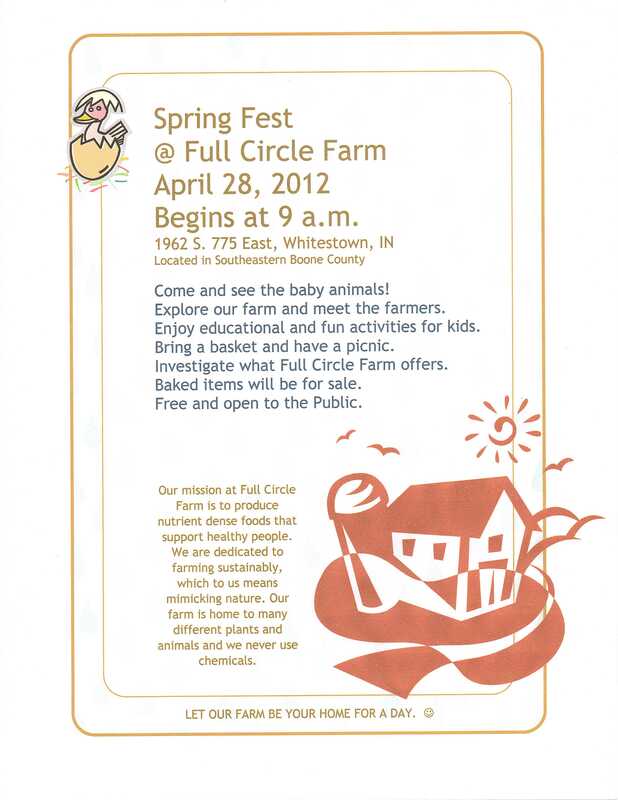 Spring Fest at Full Circle Farm is Saturday, rain or shine. We are making arrangements for protection from the rain. Bring the kids to visit the animals and participate in some fun activities.